Below you can view all the homes for sale in the Richland subdivision located in Suwanee Georgia. Listings in Richland are updated daily from data we receive from the Atlanta multiple listing service. To learn more about any of these homes or to receive custom notifications when a new property is listed for sale in Richland, give us a call at 404-998-4113. Partially Finished Basement Has Space For Storage & Awaits Your Finishing Touches! MLS#6536268. Knock Homes, Llc.. This One Will Not Last. Check It Out Fast! MLS#6533545. Keller Williams Rlty-Ptree Rd. New Garage Door 2017. Quiet Cul De Sac Lot. MLS#6527141. Keller Williams Rlty-Ptree Rd. This Home Has Too May Features To List! MLS#6520220. Keller Williams Realty Atl Part. Close To Schools, Dining, Shopping, Arts And Entertainment. Lease Restricted Subdivision. MLS#8543087. Point Properties Realty. 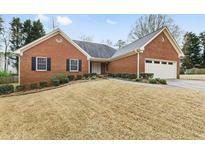 Excellent Home Is Perfect For Those Looking To Move Into Gwinnett Schools Or Just Upgrading! MLS#6518122. Mark Spain Real Estate. This Wonderful Home Is Set At Private End Of Culdesac & Move-In Ready! MLS#6515984. Remax Legends. This Home Will Not Last, Don'T Miss It! MLS#6515767. Redfin Corporation. This Home Is Conveniently Located Near Stores, Main Roads And Highways And At Walking Distance To Schools. MLS#6515104. Keller Williams Realty Atlanta Partners. Awesome Floor Plan Not Like Most. MLS#6512847. Virtual Properties Realty.Com. Enjoy Your Screen In Porch, Deck And Large Secondary Drive. Call For Your Appointment Today! MLS#6512791. Keller Williams Realty Lake Hartwell. At End Of Day Enjoy The Cozy Great Room By The Fireplace That Gives A Real Sense Of Home... MLS#6503512. Re/Max Professionals. Then There'S The Huge Unfinished Basement For Future Expansion & Yes Stubbed For Bath As Well! MLS#6127392. Re/Max Around Atlanta Realty. Walking Distance To Collins Hill High School, MLS#6103722. Atlanta Communities. Extensive Landscaping. Come See This Home Today! MLS#6055530. Keller Williams Realty Atlanta Partners.